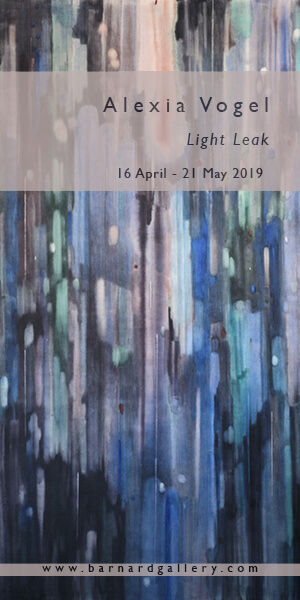 March 2019, London: This April, Sotheby’s dedicated sale of Modern and Contemporary African Art will return to London for a fourth consecutive season. 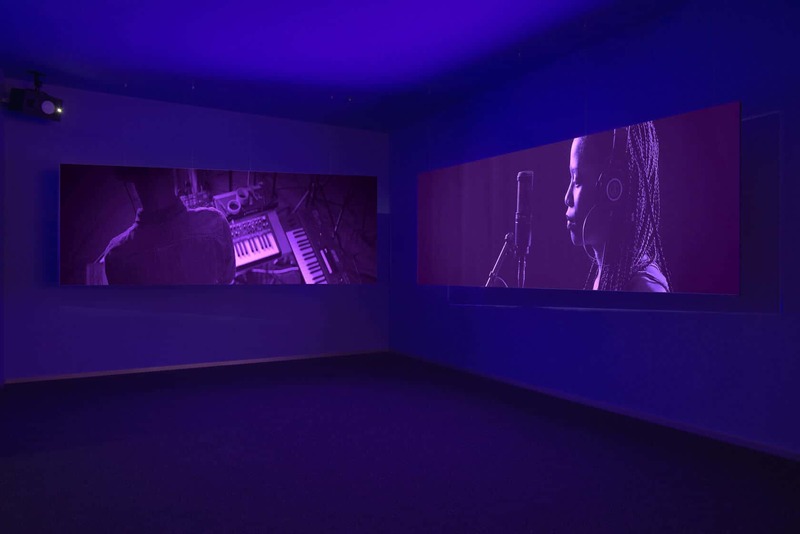 Since the inauguration of the series in 2017, Sotheby’s sales in the category have achieved fifty world records, championing the work of artists from across the African diaspora and underscoring the rising global interest. The international market for Modern and Contemporary African Art is certainly heating up, with exciting conversations igniting across the field, fueled by milestones including the opening of Zeitz Museum of Contemporary African Art and the Norval Foundation in Cape Town, growth of international art fairs such as 1-54 Contemporary African Art Fair in London, New York and Marrakech, Art X Lagos, and of course the highly-anticipated Ghana Pavilion at this year’s Venice Biennale. 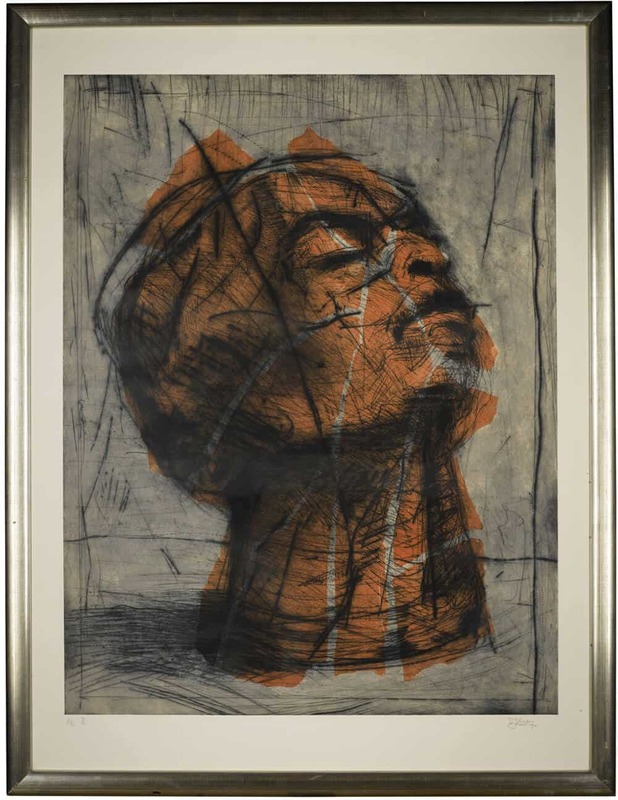 Sotheby’s own entry into the field further attests the position of modern and contemporary African art firmly in the global market. Last season’s sale at Sotheby’s totalled £2.3 million ($3 million) and attracted collectors from 20 different countries. 2018’s sales saw strong results for established artists including Ben Enwonwu (Obitun Dancer; £187,500/$265,744) and El Anatsui (Tagomizor; £670,000/$883,730) to rising stars like Eddy Kamuanga Ilunga, just 27 years old, whose Mangbetu soared to five times above the pre-sale high estimate (£65,000/$92,124). “When it comes to Contemporary art, people are always looking for something new – a demand which absolutely lends itself to this genre. Spanning over 16 countries, a kaleidoscope of cultures and themes, and comprising the works of both established and emerging artists alike, our Modern and Contemporary African art auction remains one of the most exciting, innovative and relevant sales in the market today. 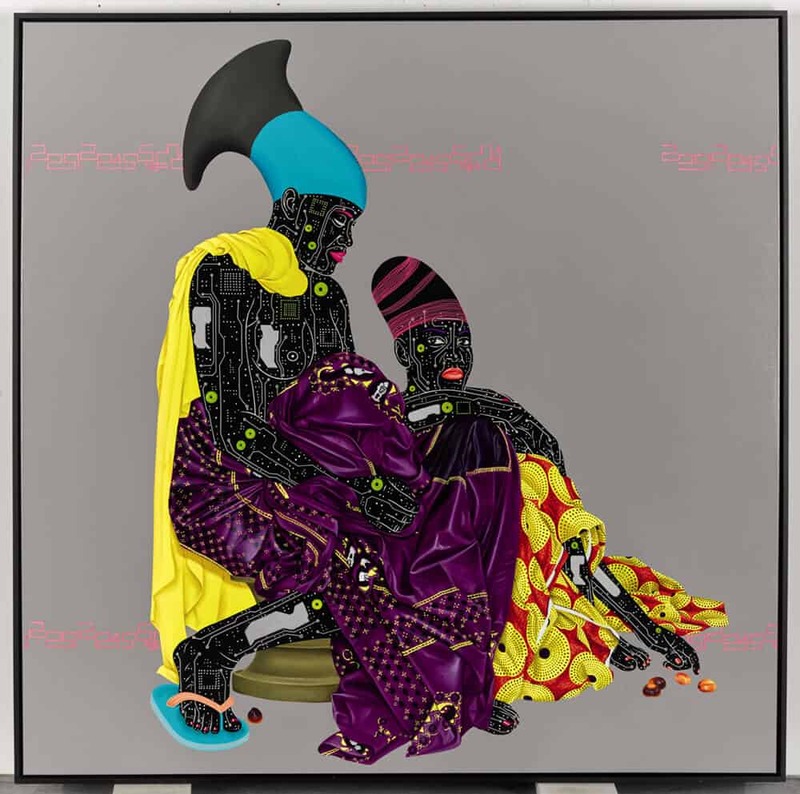 African art has undergone something of a Renaissance in the past decade, signalled by rapidly developing interest from collectors across the globe. Indeed, 26% of buyers in last year’s sale were from the African continent but the categories collector base spans Asia, Europe, Australasia and North America, and it is fantastic to see African artists surging to the forefront of international collections, both private and public. 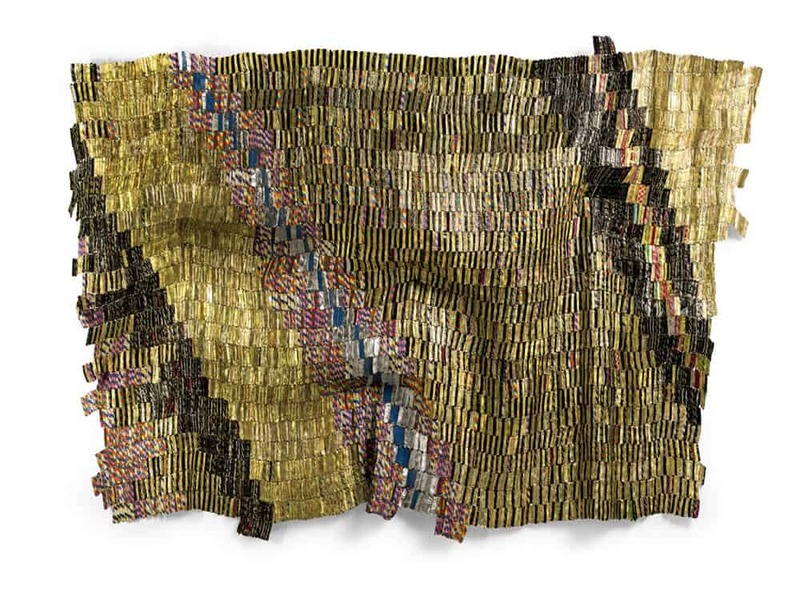 Sotheby’s April sale will be led by Zebra Crossing II, a bottle cap tapestry by contemporary art superstar, El Anatsui. El Anatsui has explored a wide range of media including ceramics, tropical hardwoods, milk-tin lids and aluminium bottle tops, which the artist uses to make the glittering metallic tapestries for which he is most known. The success of El Anatsui’s bottle cap works can be attributed to the artist’s ability to effortlessly manipulate the rigid metallic material in a way that creates a finished work that is robust yet malleable, luxurious and incredibly cloth-like. El Anatsui has enjoyed several ground-breaking exhibitions such as the internationally touring show ‘When I Last Wrote to you About Africa’ in 2010. The artist’s largest survey exhibition to date, ‘El Anatsui: Triumphant Scale’, curated by Okwui Enwezor and Chika Okeke-Agulu, opens at Munich’s Haus der Kunst this week and will travel to Mathaf: Arab Museum of Modern Art in Doha in the autumn. El Anatsui will also represent Ghana at the Venice Biennale this year alongside Ibrahim Mahama, whose work is also included in the auction. A powerful celebration of his homeland, La Sortie du Roi triggers a multiple of senses in the viewer: a dusty pink palette indicative of a dry and arid climate, the ice-cool shade offered by the white and blue burnouses, and the ghostly, mirage-like wisps of paint surrounding each horse which endow the painting with an electrifying whirr of movement. 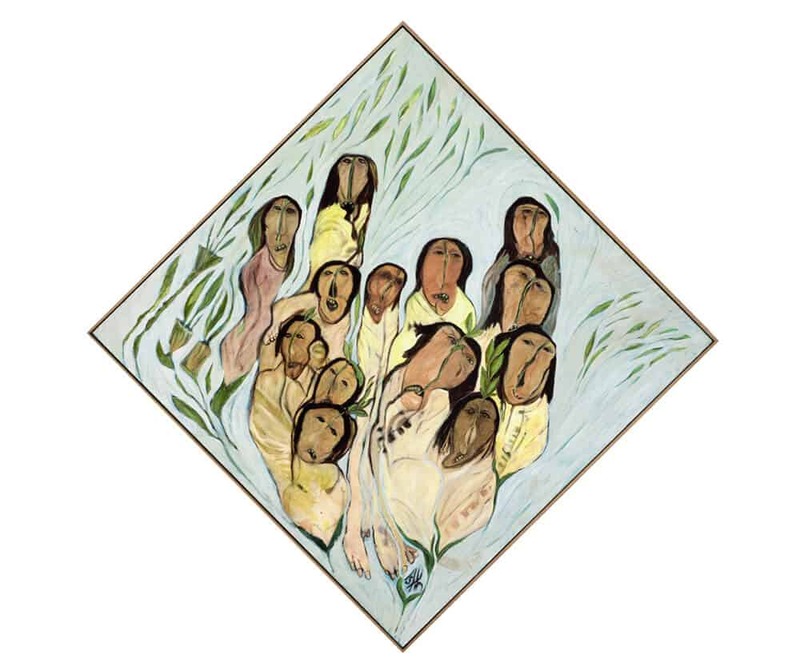 Painter El Glaoui has risen to international acclaim and is credited as one of the pioneers of contemporary art in Morocco. 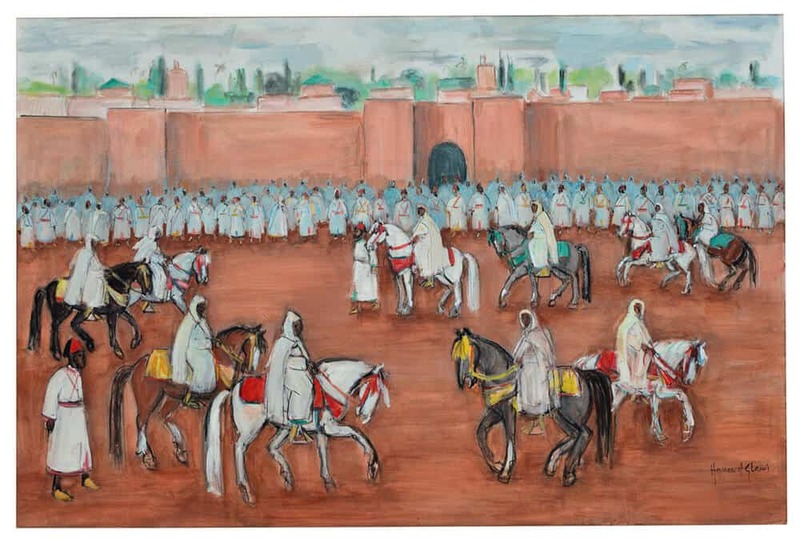 The artist expressed gratitude to Winston Churchill for his career; during his visit to Marrakech in the 1940s, the Prime Minister convinced El Glaoui’s father, the last Pasha of Marrakech, to allow the budding artist to pursue his artistic vocation. The works of Churchill and El Glaoui have subsequently appeared together in a joint exhibition in London. Kamala Ibrahim Ishaq is recognised as both a pioneering member of the Sudanese art scene as well as a feminist icon and one of the most important female artists operating on the African continent today. The artist was one of the first women to graduate from the College of Fine Arts in Khartoum in 1963. Between 1960 and 1975, the Khartoum art scene was dominated by the renowned Khartoum School, an artistic movement that began in Sudan in the 1960s with the aim of creating a new visual language that reflected a newly independent Sudan. Notable members included artists Ibrahim El-Salahi and Sarah Elmur (and works by both of those artists are included in the auction). In 1971, despite being a prominent member of the group, Kamala left and founded the Crystalist Group, advocating for a new Sudanese artistic aesthetic that was modelled on diversity and transparency. The present lot demonstrates Kamala’s interest in Sudanese spiritual processes, especially a traditional practice called the Zār Ceremony, through which the individual is rid of evil spirits. 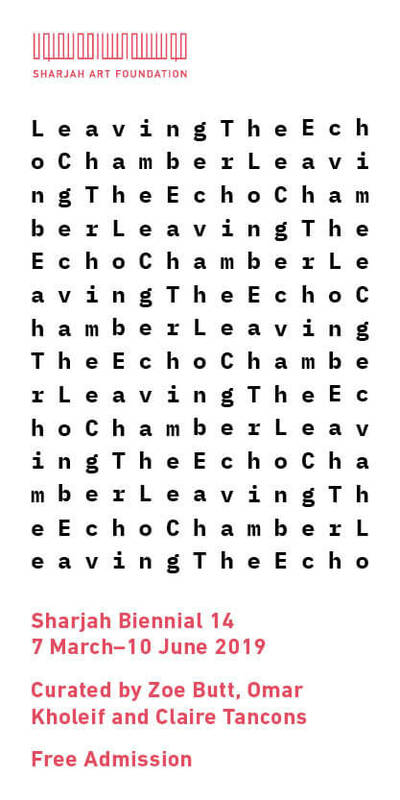 Kamala Ibrahim Ishaq’s work has been widely exhibited at renowned institutions such as MoMA PS1 (USA), the Whitechapel Gallery (UK), the Sharjah Art Museum (UAE), Smithsonian National Museum of African Art (USA), Camden Art Center (UK), among many others. Amalgamating both traditional and ‘popular culture’ styles, Illunga’s oeuvre reflects both the rapid modernisation of Kinshasa, Africa’s third largest city and the artist’s home town, and the resulting uncertain sustainability of the broader heritage and daily rituals of the Mangbetu people – who form the subject of this stunning work. Understanding the present through the past is central to Illunga’s practice. The classical poses and rich drapery of the artist’s monumental figurative paintings are reminiscent of European Old Masters. Yet, the rubber flip-flops and vibrant swathes of fabrics capture Mangbetu’s craft and heritage. What’s more, electronic circuitry, the artists’ trademark patterning, tattoos the figures bare skin, signalling to the digital twenty-first century. This style of painting originated early in the artist’s career, after learning that the Democratic Republic of Congo is one of the world’s biggest producers of coltan, an ore strenuously mined by hand that contains tantalum – a key metal for the electronics industry. Shocked by the growing number of South African villages destroyed to exploit these mineral’s, Illunga’s microchipped figures symbolise the exploitation of both his country and its people and the harsh reality of globalisation. With its painterly finesse, complex symbolism and powerful appeal to both eye and conscience, Illunga’s work has shot to international prominence. The sale of Palm follows the sale of Illunga’s Mangbetu at Sotheby’s in March 2018, which achieved £65,000/$92,124, storming past the pre-sale estimate of £8,000-12,000.